After four years of cooking sous-vide, the longest cook I had done was still 72 hours. So far I had not encountered a cut of meat that required more. 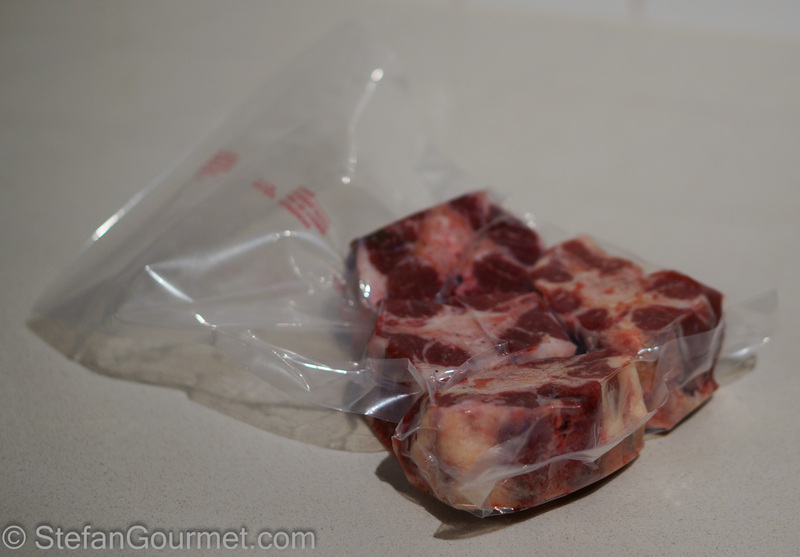 Then I read about oxtail sous-vide, cooked 100 hours at 60ºC/140ºF, and I was curious to try it. 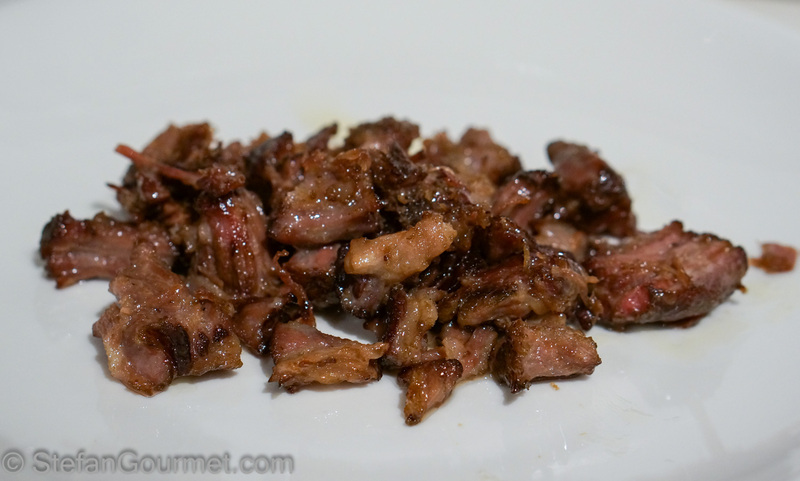 As this was a trial run, I kept the preparation as simple as possible to be able to sample the flavor of the meat without distractions. 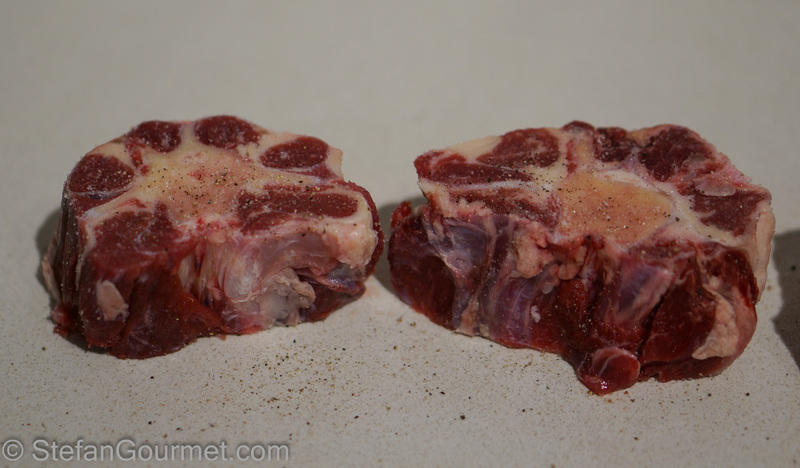 I started of with some nice pieces of oxtail from Irish beef, about 750 grams (1.7 lbs). …and I vacuum sealed them. 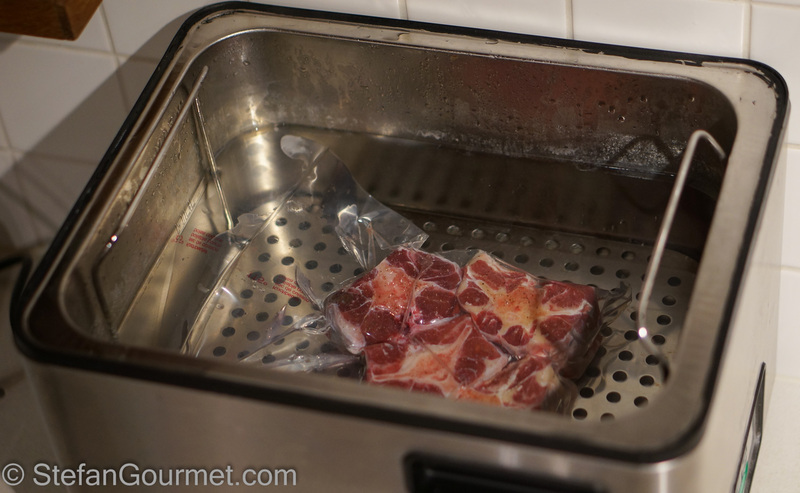 Then I put them in the sous-vide cooker preheated to 60ºC/140ºF for 100 hours. This is how they came out. There were a lot of juices, that I reserved as they contain a lot of beefy flavor. I seperated the meat from the bones and fat. 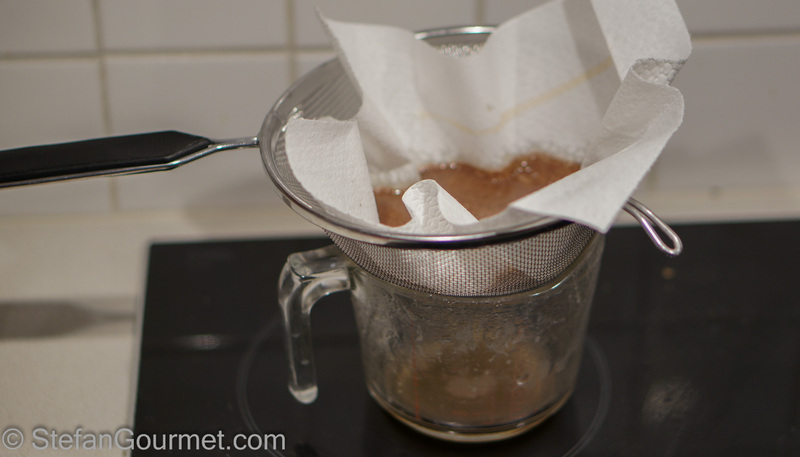 …and filtered out the coagulated proteins. This step is needed to avoid getting ‘scum’ in the sauce. 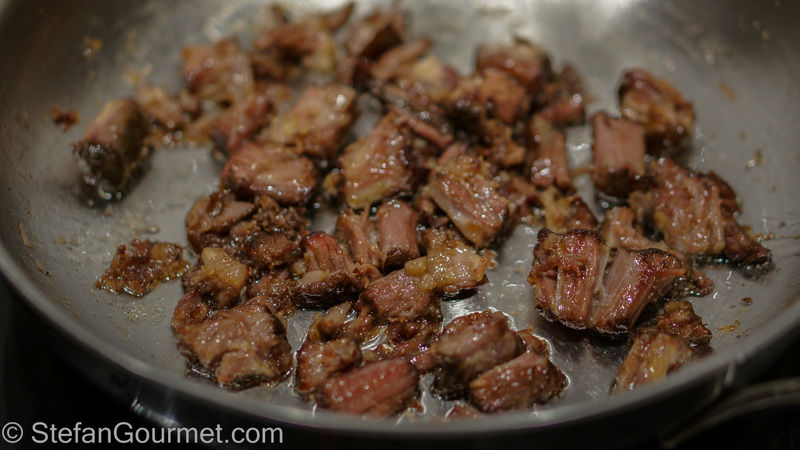 Then I slightly browned the pieces of oxtail meat in butter over high heat, just for a minute to heat them through and brown them a little. Cooking them for a longer time would dry them out. 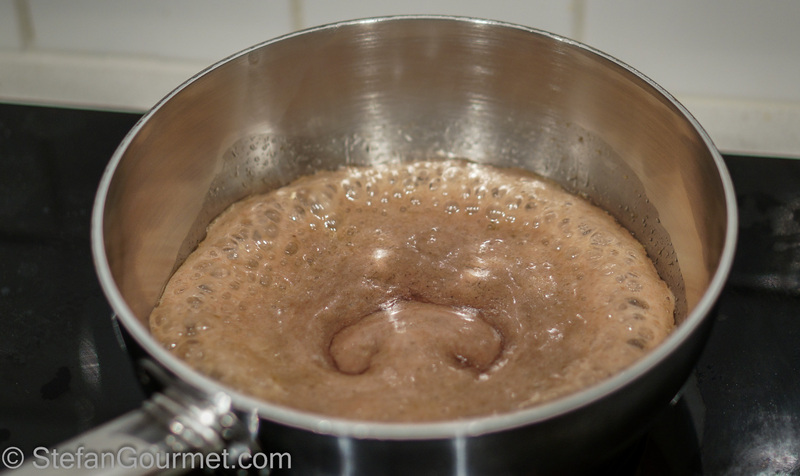 To finish, I reduced the heat to low and added the strained juices. 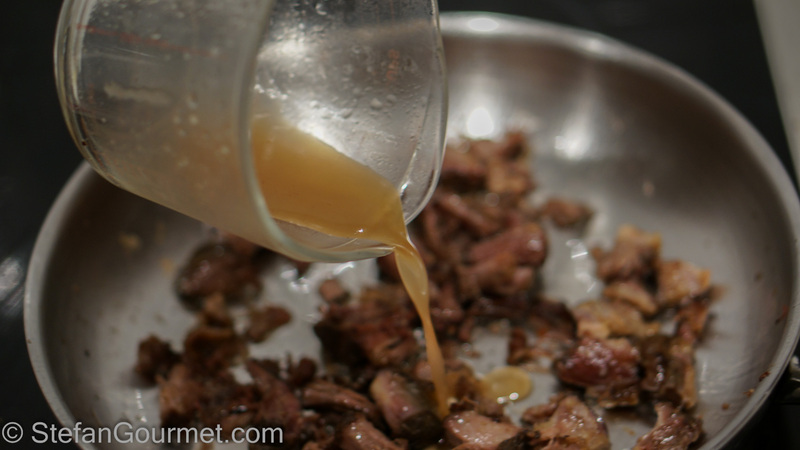 I stirred over low heat until the beef was coated with the juices. Then I tasted and adjusted the seasoning with salt and freshly ground black pepper. I served the meat just like that on preheated plates. It was fabulous. Tender, but still with a nice bite to it. Like braised beef, but juicier and more flavorful. 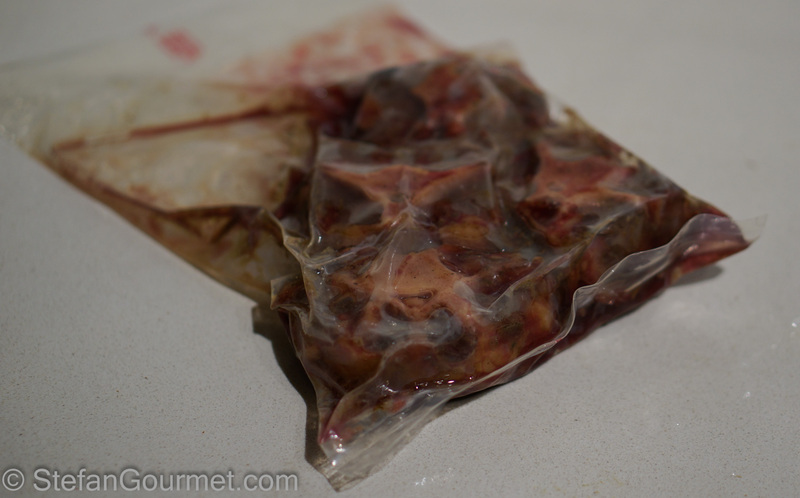 I am definitely going to think of a nice dish to make with oxtail cooked sous-vide for 100 hours at 60ºC/140ºF. P.S. 100 hours sounds more impressive, but in practice 96 hours (4 days) will do the trick as well. Beef cooked like this has ‘mature’ flavors that will go well with a mature wine from ripe grapes, like a Pomerol from a good vintage and aged for at least 8 years. 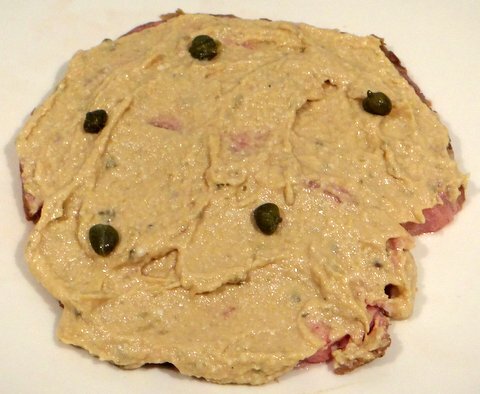 If you’ve never had vitello tonnato before, you probably think veal and tuna are an unlikely pair. But in fact this classic dish from the Piemonte region in Italy (called vitel tonnà in the Piemontese language) is a great combination. Traditionally, vitello tonnato is made by poaching veal in a stock with aromatic vegetables and white wine, sliced thinly and served with a sauce of canned tuna, hard-boiled eggs, capers, anchovies, extra virgin olive oil, lemon juice, and a bit of the cooking liquid. 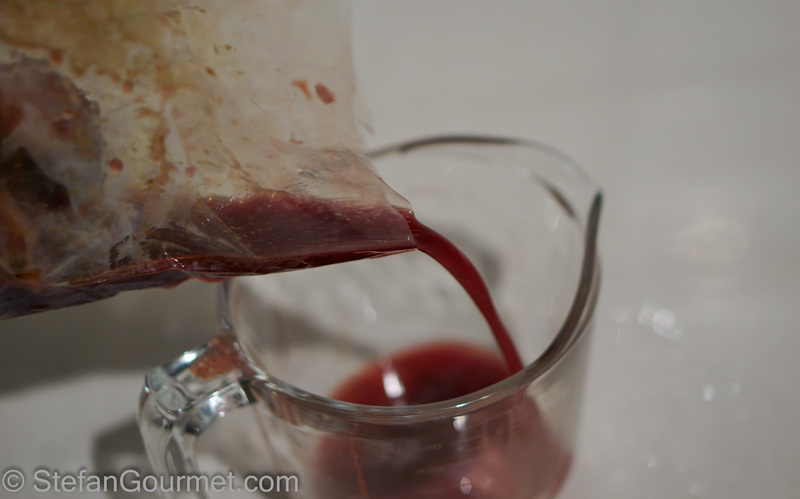 When poaching the veal in a stock, a lot of the taste from the veal will leak into the stock. 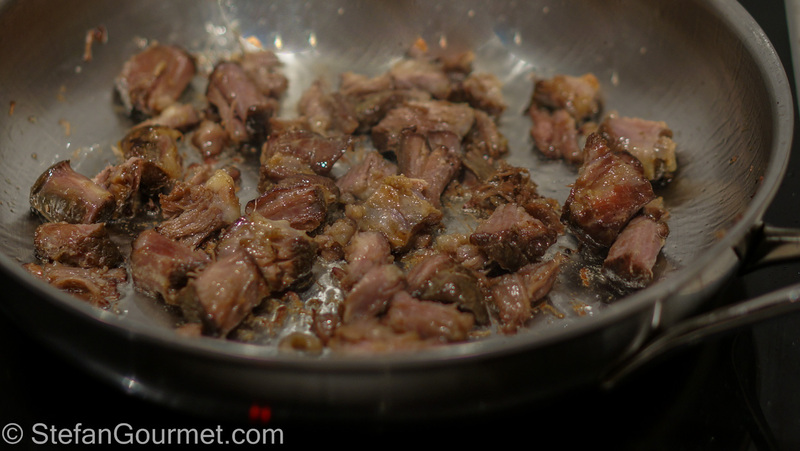 That is why I prefer to pan-sear the veal and then cook it sous-vide with the aromatic vegetables. 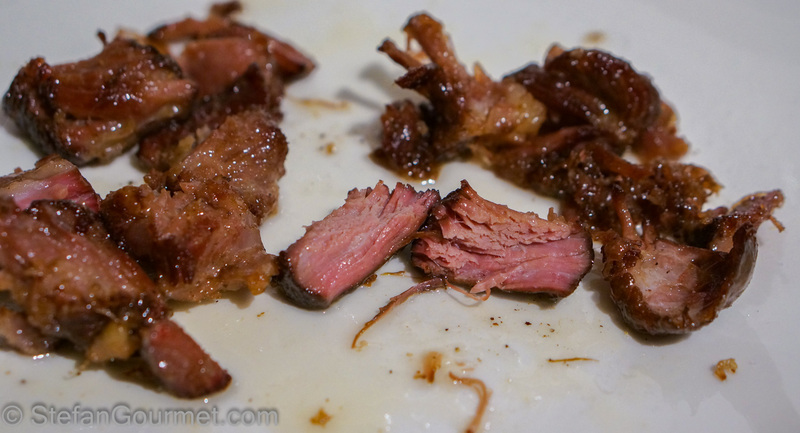 Instead of using a tender cut of veal with a light flavor, I use a tougher cut such as veal brisket with more flavor and cook it tender using sous-vide. Wow! 100 hours!? That’s incredible – looks great aswell Stefan! Looks wonderful! Do you have a chamber vacuum sealer? 96 or 100 hours is impressive, no matter how you look at it! 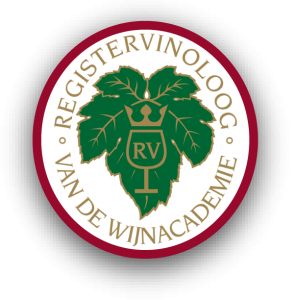 Stefan, your blog posts were a big persuader for me to get into sous vide (well, that and a fellow cook who raves about it). My sous-vide immersion device arrives next Monday! Your treatise on chicken was fascinating, as were the beef and chicken stock posts. Thanks for sharing your experiences, it helps us new folks more than you know. I think you’re right. I haven’t tried rendang sous-vide yet though.